What is a Property ? In general sense, property is any physical or virtual entity that is owned by an individual or jointly by a group of individuals. An owner of the property has the right. Human life is not possible without property. It has economic, sometimes religious and legal implications. It is the legal domain, which institutes the idea of ownership. The basic postulate of the idea is the exclusive control of an individual over some ‘thing’. 1. Control over the use of the property. 2. Right to take any benefit from the property. 3. Right to transfer or sell the property. 4. Right to exclude others from the property. What are the different Kinds of Property ? The words “moveable property” is intended to include corporeal property of every description, except land and things attached to the earth or permanently fastened to anything, which is attached to the earth. The Term “Immovable Property” occurs in various Central Acts. However, none of those Acts conclusively define this term. 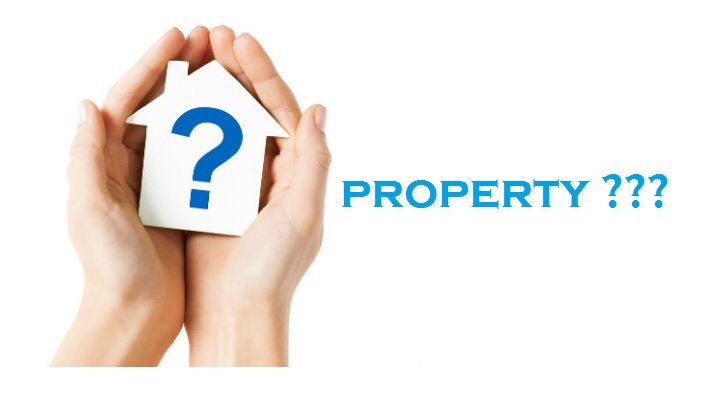 The most important act which deals with immovable property is the Transfer of Property Act (T.P. Act). Even in the T.P. Act this term is defined in exclusive terminology. Tangible property refers to any type of property that can generally be moved (i.e., it is not attached to real property or land), touched or felt. These generally include items such as furniture, clothing, jewellery, art, writings, or household goods. Intellectual property is a term referring to a number of distinct types of creations of the mind for which property rights are recognized—and the corresponding fields of law. Property does not just comprise of tangible things like houses, cars, furniture, currency, investments etc and such assets are not the only kind that can be protected by law. There are many other forms of intangible property known as intellectual property that have been recognized under the law and granted protection against infringement. Four main types of IP protection for your business: * Patents * Trade Marks * Copyrights * Trade Secrets.